+Nike Free Running Shoes (HALF OFF! only $49! ): Can't believe these aren't sold out yet at this price and these awesome colors! Nike Free's are pretty much the only running shoes I wear nowadays because of how comfortable they are. This black pair is also marked down, and these would be good if you want a pair that will match almost anything. 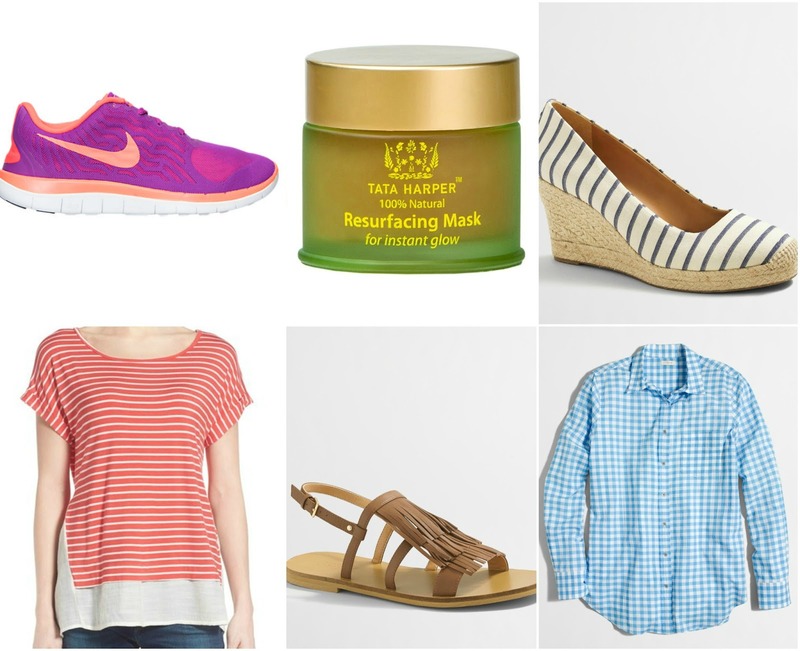 +Tata Harper Resurfacing Mask: One of my fav beauty finds recently. It makes my skin so soft and smooth, and adds a pretty glow without being too harsh. Don't let the price scare you off-this jar is huge and will last! +Bobeau Layered Stripe Top (comes in other colors-under $40): I actually bought this shirt for Steph for her birthday last week! It's so soft and really flattering! 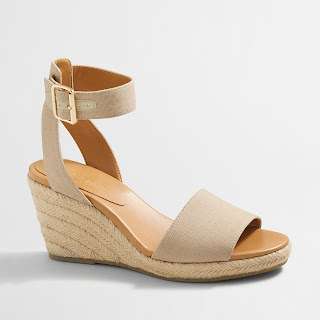 +Leather Fringe Sandals: How cute and fun are these?! I mean...I need them in my life! They also come in white and black. +Classic Gingham Button-Down (on sale for $39! ): A staple in my closet - can never have too many of these in my opinion! Summer clothes are so much more fun! Now if only this weather can catch on..right? Oh, and just a fun tidbit happening in my life. Guess who's deck is completely torn apart and has patio furniture scattered all in her lawn and wood boards laying all over the grass, but Lowe's says they didn't have our order for new wood (that was supposed to be delivered tomorrow) in their system?! AWWEEEESOME!! Never a dull moment! Pray for my sanity. Score on those Nikes! Those are my favorite sneakers too! Those fringe sandals are sooo cute!! Good luck with the deck! Yikes! !